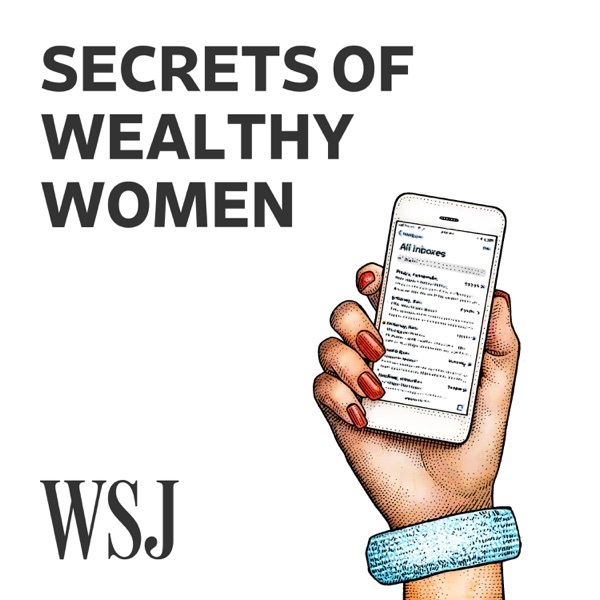 WSJ Secrets of Wealthy Women | Listen Free on Castbox. Rabbi Angela Buchdahl is the first Asian-American to be ordained as a rabbi, and first woman to become both a rabbi and a cantor. She tells the Wall Street Journal's Veronica Dagher how she broke the stained-glass ceiling, and what inspires her to lead other women to do the same. Maria Bartiromo is a journalist, author, and the host of her own television shows on Fox Business Network and Fox News. The first woman to report live from the floor of the New York Stock Exchange, she tells Veronica Dagher her path to multimedia and financial success. The Wall Street Journal's Veronica Dagher revisits three powerful women who've thrived after putting a divorce behind them. Divorce lawyer Laura Wasser, tech entrepreneur Rana el Kakliouby and business leader Sheila Johnson share their stories of strength and new beginnings. Before Jen Sincero became a success coach and best-selling author of the "You Are a Badass" book series, she struggled to make ends meet as a freelance writer. She tells the Wall Street Journal's Veronica Dagher why awareness is the key to transformation, and how women can build the confidence to meet their financial goals. As chief operating officer of NewYork-Presbyterian Dr. Laura Forese is one of the most powerful women in healthcare. She tells the Wall Street Journal's Veronica Dagher why the most important path to success is health, and how women leaders can change the future of medicine. Bestselling author and entrepreneur Ayesha Curry tells the Wall Street Journal's Veronica Dagher about her lifestyle brand Homemade, what it takes to sustain a website and product line, and what future business women can learn by following her lead. 'Gotham Gal' Joanne Wilson is a long time angel investor with a special focus on women entrepreneurs. She tells the Wall Street Journal's Veronica Dagher why her life's passion is leading female founders to success. Does she know that president Lincoln did nothing for black people? the freedom banks weren't for or about black people. please ask her to cite her sources.